Four talented musicians who know all about love perform old school soul, soft rock, jazz and R&B songs from the heart. This festival of love will feature songs about love or just songs that make the world a brighter place. Expect that old school style of the 60’s through 80’s such as “Becha By Golly Wow,” “What You Won’t Do for Love,” “Happy Feelings,” “I Say A Little Prayer for You,” “As,” and more! 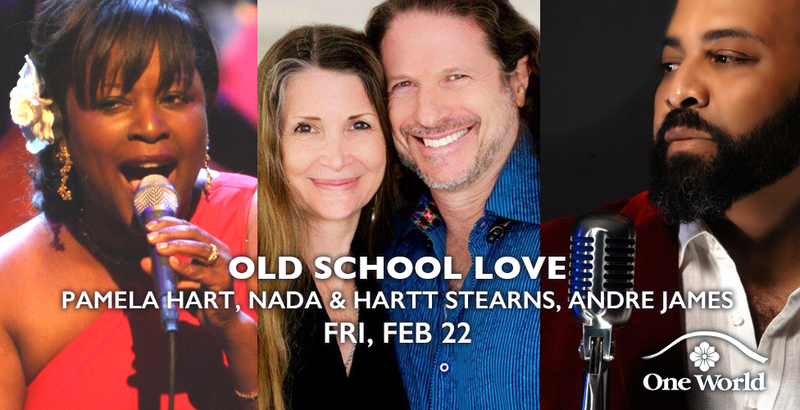 With the textures of smooth Pamela Hart, silky Nada Stearns, rhythmic Hartt Stearns and crooning Andre James, you’re in for a journey into that old school kind of love through song! These great performers will be backed by the Hot Sauce ATX band. Hartt, the Executive Director of One World, is a graduate of UCLA with a major in psychology. During this time, he took various ethnomusicology courses including studying with Ghanaian master drummer Kobla Ladzepko, as well as Nigerian master drummer Francis Awe. During his study under Mayuto Corea, a Brazilian percussionist master, Hartt learned the importance of finding one’s true self and having the music be an expression of that. Mayuto introduced Hartt to the Argentine band Arco Iris and became their percussionist for the next 14 years. Arco Iris produced multiple gold records and toured internationally with musicians such as Alex Acuna (Weather Report), Chester Thompson (Phil Collins), and Chris Rhyne (Santana). Arco Iris was also part of Music Center on Tour, based out of the Los Angeles Music Center, one of the most extensive multi-cultural arts-in-education outreach programs in the world. One World began to sponsor the best Austin artists from diverse cultures to perform in local schools. They also connected top professional artists in Austin with local high school students for culminating televised performances. 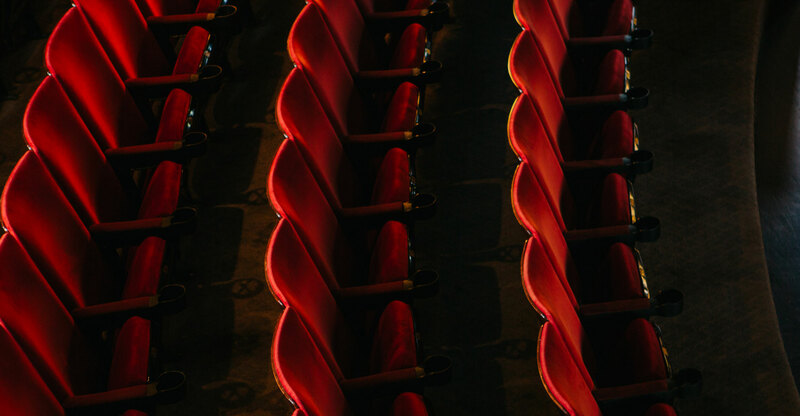 In July 1999, One World Theatre opened as an extension of the arts-in-education program with a mission to educate and inspire children and adults with innovative and exciting multicultural arts and entertainment programs. One World is now a network partner of Berklee City Music Network, which focuses on helping underserved young musicians with free access to the school’s curriculum, as well as scholarships to Berklee College of Music. At One World Theatre, Hartt and Nada have shared the stage with the likes of Michael McDonald, Sergio Mendes, Doobie Brothers, Kenny Loggins, Little Feat, War, Herbie Mann, Ambrosia and Jose Feliciano, among many others.